Note: In 2016's Primary election, the top 2 vote receivers were both Republicans, so a Democrat was not in the running for the General election. 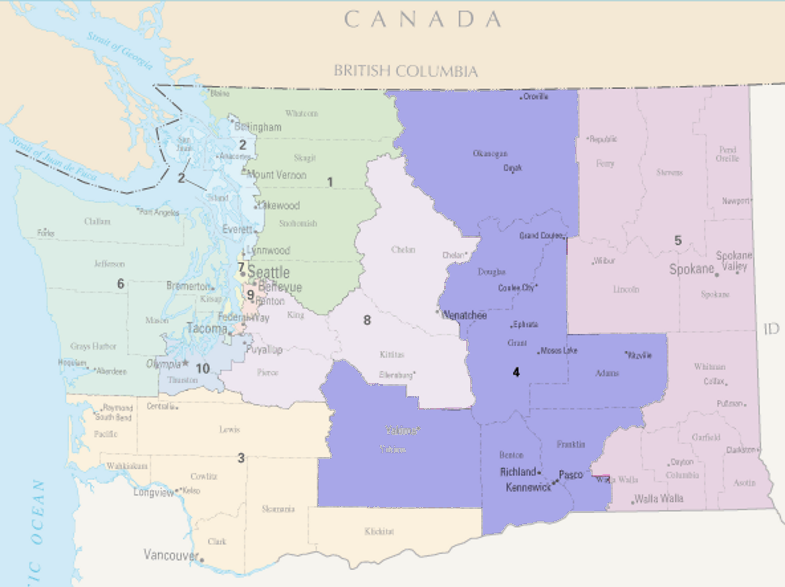 From Wikipedia: Washington's 4th congressional district encompasses a large area of central Washington, covering the counties of, Douglas, Okanogan, Grant, Yakima, Franklin, Benton, and Adams. The district is dominated by the Yakima and Tri-Cities areas.